It’s almost ready to re-open, but building work on a Hamilton theatre unearthed extra costs that outran the budget. The curtain will rise on Meteor Theatre on May 18 but the trust which runs still needs a few thousand more to pay for the work. Their budget for earthquake strengthening and upgrades was $1.16m, but asbestos discoveries and extra work on the foundations and structure gobbled up the contingency fund. A Hamilton City councillor is hoping council can come to the rescue, and one will float the idea of a one-off grant at a Thursday meeting. Council gave the theatre building and fixtures to One Victoria Trust in January 2014, with a contribution towards earthquake strengthening. The trust raised the balance of funds by 2017 – as required – but surprise project costs left them with a $56,292 shortfall, council documents show. “Big things like the extra steel work that had to go in the foundations and the asbestos” put the trust over budget but they pulled the shortfall back to $45,000, One Victoria Trust chair Aaron Chesham said. Now the gap has been partly plugged with $30,000 from the Grassroots Trust but Chesham hopes council might help too. Several of the costs were from legacy issues that no-one had known about, Chesham said. About 30,000 people pass through the theatre doors each year, Chesham said. Councillor Angela O’Leary unsuccessfully pitched a one-off Meteor grant in early April and is planning to try again on Thursday. “I think that’s just us responding to a community that needs us… I don’t think $26,000 is material given this year I think [council’s] operating surplus is about $35 or $36m,” she said. 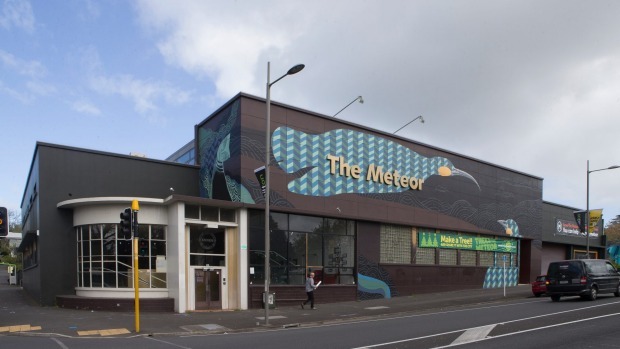 The Meteor sits on city-owned land and the building can’t be sold – so it would all come back to council if One Victoria Trust ever decided it didn’t want to run the theatre, she said. Elected members would probably want to help, Councillor Geoff Taylor said. “My gut feeling is that we’ll be doing whatever we can to help and if there’s some kind of extra financial amount, I would imagine council would look pretty favourably on it,” he said. A report from council’s general manager of venues Sean Murray updates councillors on the theatre situation but does not include any suggestion of council giving any money to the Meteor. * Previous work by Council on the property had also discovered a small amount of asbestos and this had been disclosed to the Trust.